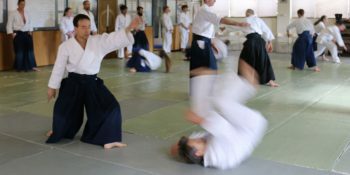 Aikido is much more than an efficient self-defence method. The Japanese martial art signifies a path to understanding, is a way of life and the way of the universe itself. Aikido training not only develops your physical strength, it also gives you the energy and wisdom to have a positive impact on society. 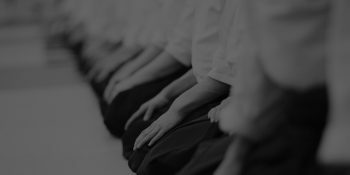 Here are the top seven reasons to start aikido training. Aikido is fantastic self-defence training. Through study, you will learn how to use your attacker’s strength against them. This enables you to overcome any opponent, regardless of whether they are physically stronger than you. Therefore, aikido is perfect for not only young, fit students, but students of all ages and fitness levels. Unlike other martial arts, aikido does not focus on striking. So, rather than learning roundhouse kicks, palm or fist striking, which are common in Maui Thai boxing and karate, aikido techniques are designed to naturally flow. Aikido’s specific training pattern results in far fewer injuries than other martial arts. Along with learning physical techniques, aikido exposes you to Sensei Morihei Ueshiba’s philosophical teachings. If you enter with an open mind, aikido will make you question your life’s direction and your responses to personal problems. Whatever your age or fitness level, it’s never too late to learn something new. Training in aikido is a fantastic way to challenge yourself and add a new dimension to your life. Like other martial arts, aikido focuses heavily on humility. Aikido teaches you to “put yourself in your partner’s place”. So, as you train, you will develop a humble attitude and a deep empathy for others. Everyone who tries a new martial art feels a little apprehensive at first. But, as the weeks progress, you’ll marvel at your ability to master new skills. Aikido training will help you discover what you are truly capable of. Aikido allows you to train at the physical capacity you are most comfortable with. As you learn new techniques, you’ll notice your body progressing into a physical condition relevant to the training. Many students will experience weight loss, increased physical strength, and the ability to master new techniques with ease. 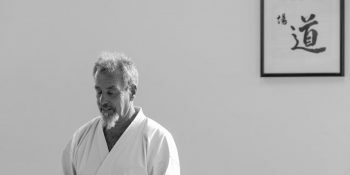 Are you ready to start your aikido journey? If so, contact Sydney’s leading aikido trainers at Shin Sen Dojo today.